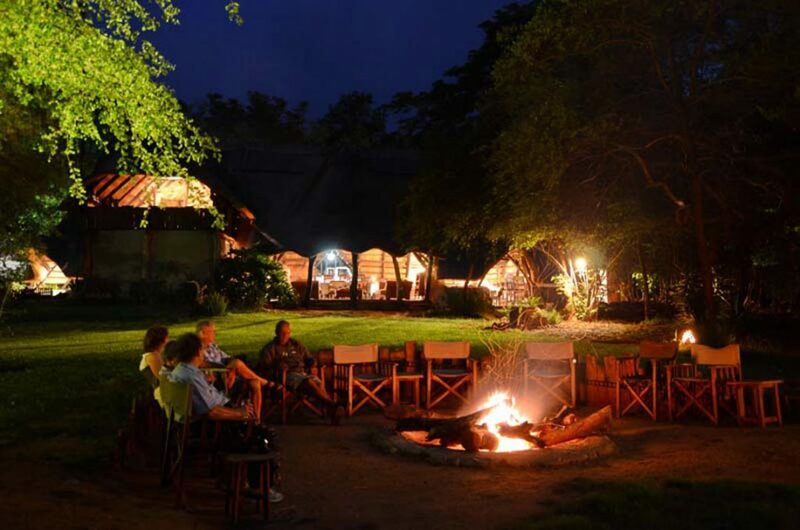 An accessible family run safari camp located on a private concession of 6000 acres. A favourite destination for those interested in seeing elephant herds in great numbers from the comfort of their room or the luxury of the camp. It is also here that the famous Presidential Herd drinks – these elephants’ home-range is amongst the dense feeding areas of the Sikumi Vlei and where they find refuge from the scorching heat at Ivory’s water hole. All the comforts of a 3 star 9 room lodge with amazing wildlife and game activities in camp. Family friendly and consists of 1 family room and 2 suites that can be converted to triples for families with children U12. Standard Treehouse Rooms comprise of 7 thatched elevated tree house style standard room with great views of the water hole, the rooms are of the robinson Crusoe style offering open aired views of the waterhole. 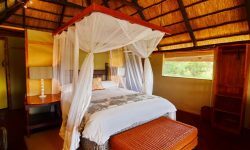 The Family friendly bush lodge gives offers a rustic and authentic tree- house African experience.- Each Tree house has en-suite bathroom facilities. Family rooms cater for children under 12 sharing with parents. This is recommended when families book to offer more space. 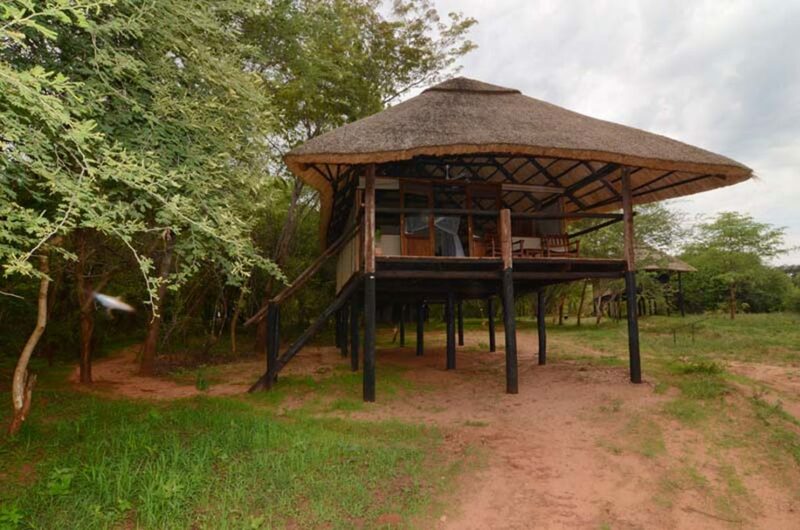 The Presidential suites consist of 2 elevated tented Suites offering fantastic views over the water hole. The suites are elegant and contemporary yet still giving it a rustic Robinson Crusoe style. 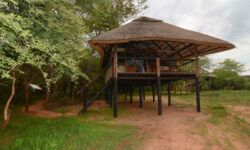 Each suote has an en- suite bathroom with bathtub and shower, a private balcony and outside seating area, mosquito nets.